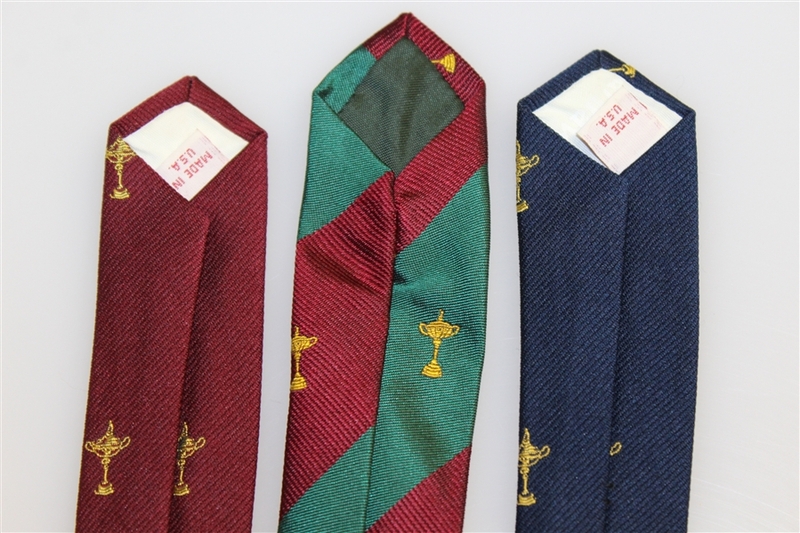 Offered here are three Ryder Cup ties. They come in good condition. 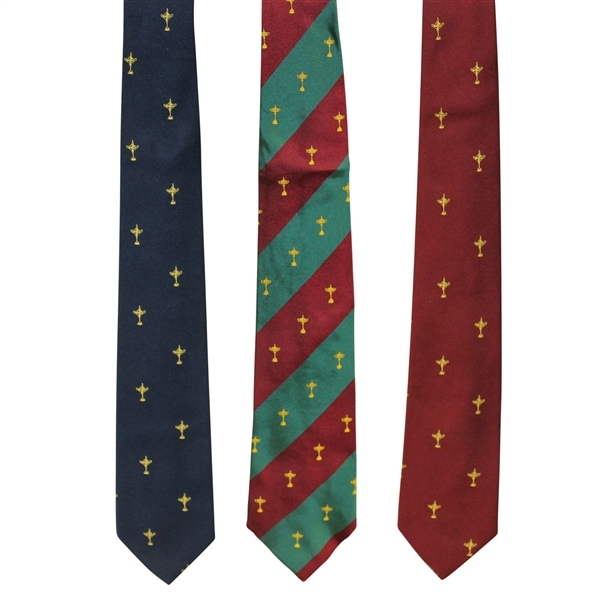 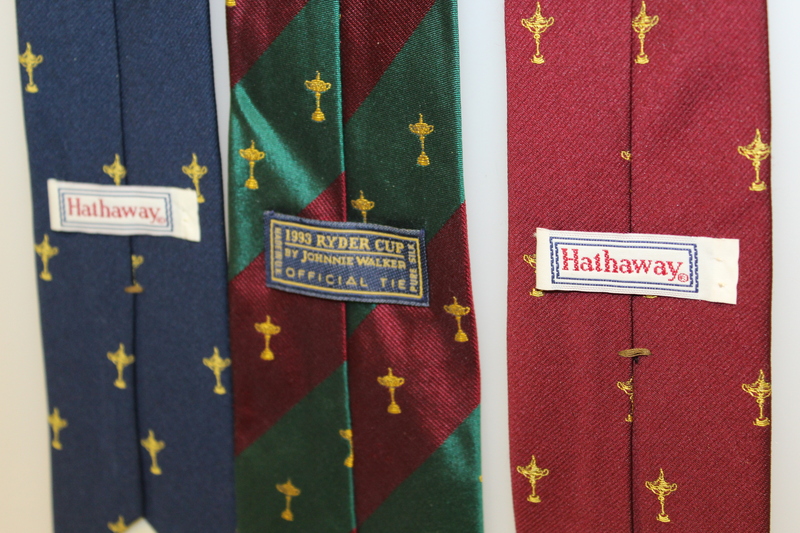 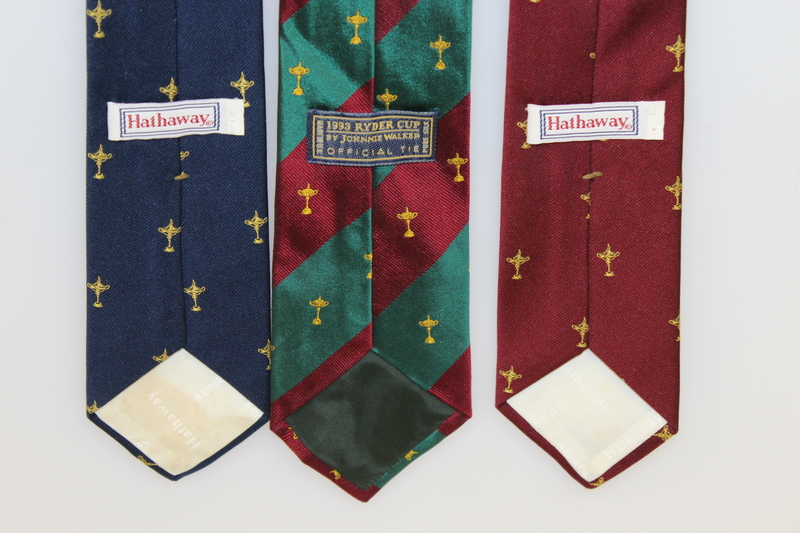 All three ties have Ryder Cup trophies on them, on blue, one red, and one green and red.